Who says you can’t wear pink eye makeup? Show your support for breast cancer awareness with pink ribbons and eye makeup! It’s pink ribbon month and we’re all for promoting breast cancer awareness. Support the cause and wear pink – even on your eyes! If you’ve ever treaded pink eye makeup territory, then you’ll know why people tend to avoid it. While it earns descriptions like “romantic, bold, and sweet” when worn on your lips and cheeks, the same colour gets denounced with “conjunctivitis, dark eye circles, and flu season”. Pink tones on the eyelids tend to bring out any redness in your eyes, and any purple on your under-eyes. Somehow, this effect worsens with smaller or hooded eyes as the colour takes over all too easily. All is not lost because pink can be pretty – follow our tricks to pull off pink like a pro! Eye makeup gets smooshed together on a smaller canvas. On hooded eyes, eye shadow and eyeliner smudge and transfer easily as the eyelids fold inwards. Apply eye primer to keep your eye makeup in place and smudge-free. This is especially important for pink eye makeup, as a smudgy pink eye can look more like a black eye. 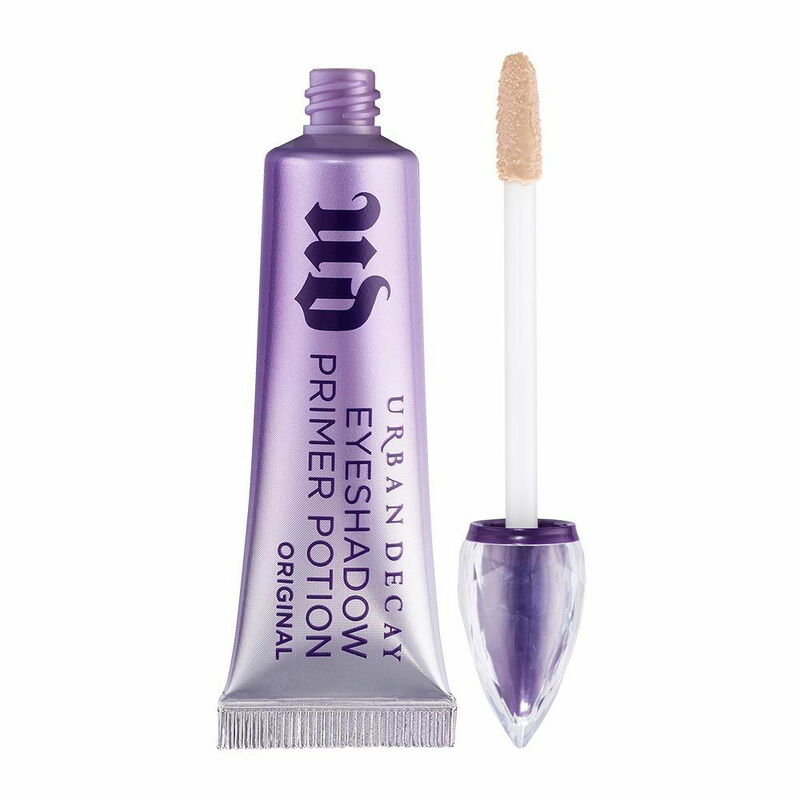 Urban Decay’s Eyeshadow Primer Potion prevents creasing and boasts 24-hour wear. If you haven’t met a pink shadow that suits you, then it’s a shade rather than a colour issue. Pink shadows come in all shades and finishes – light to dark; and matte, shimmer, and sheer. Besides considering the shade and finish, consider your own skin tone and eye colour. If you have yellow undertones in your skin, try a warmer pink like coral; if you have cooler undertones, a more lilac pink might suit you better. In short, experiment! Don’t write off an entire colour over one bad encounter. A popular pink eyeshadow palette is Urban Decay’s Naked3. 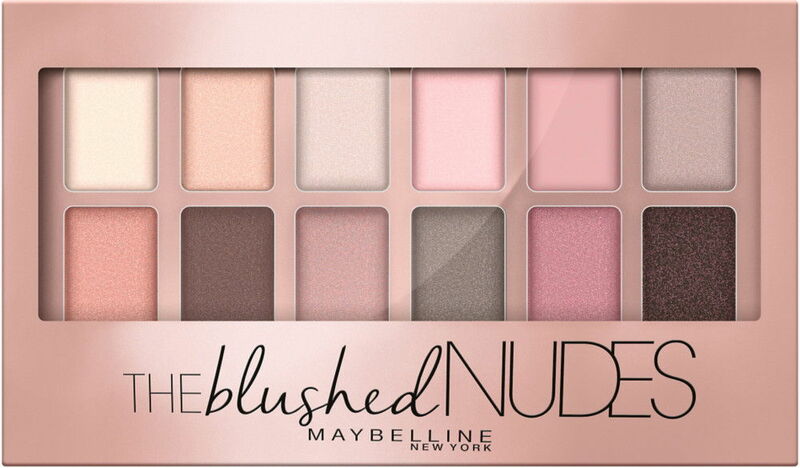 For a dupe of that, try Maybelline’s The Blushed Nudes. Urban Decay available at Sephora stores; Maybelline available at most pharmacies. Where you use pink on your eyes is key to avoid looking sick or like you got into a fist fight over the last pair of size 6 at a shoe sale. 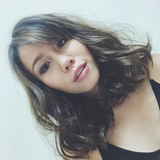 If you’re going to put pink eyeshadow on your lower lid (that usually turns pink or red when you have a cold), then make sure to line your eyes with eyeliner or eyeshadow of a friendlier colour like grey, brown, or black. Since a pale pink can wash you out while a bright pink might look too outlandish on your lids, it’s important to line your eyes with black or brown liner. 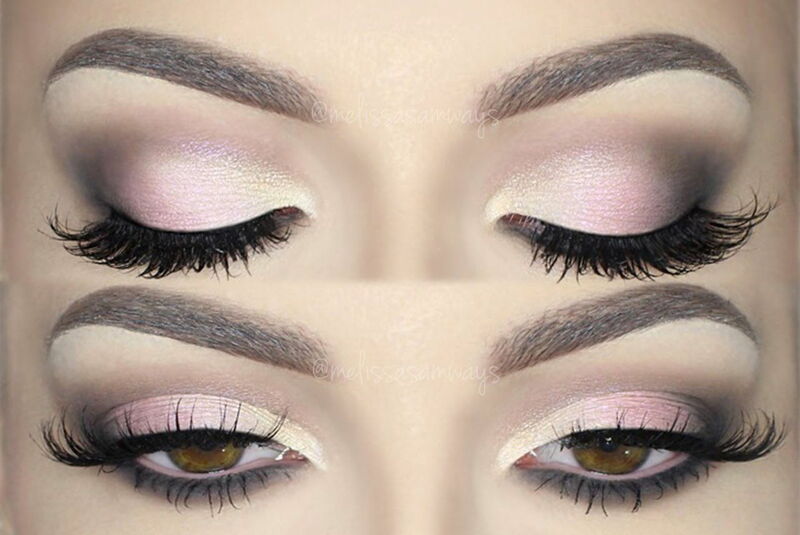 Black eyeliner gives pale pink eyeshadow an edge while brown adds to the sweet and romantic look. 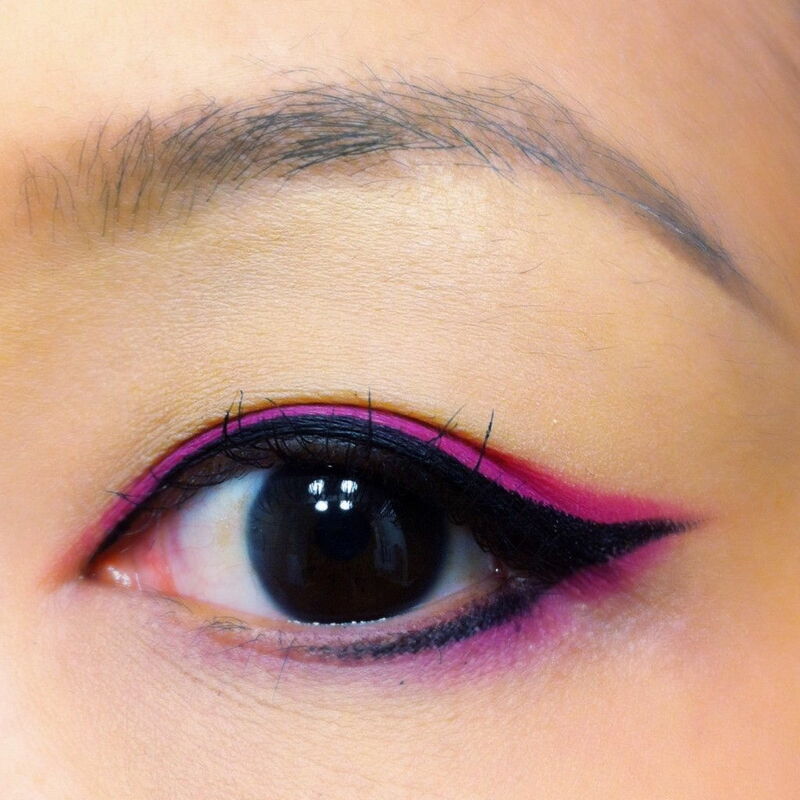 Bolder pinks are harder to pull off as eye makeup – so a black eyeliner (that tends to suit most eyes) acts as a middle ground. When using an eyeliner, tightline your eyes (i.e. draw a thin line on your lash line) to save prime lid landscape for pink eyeshadow or an overlay of pink eyeliner. 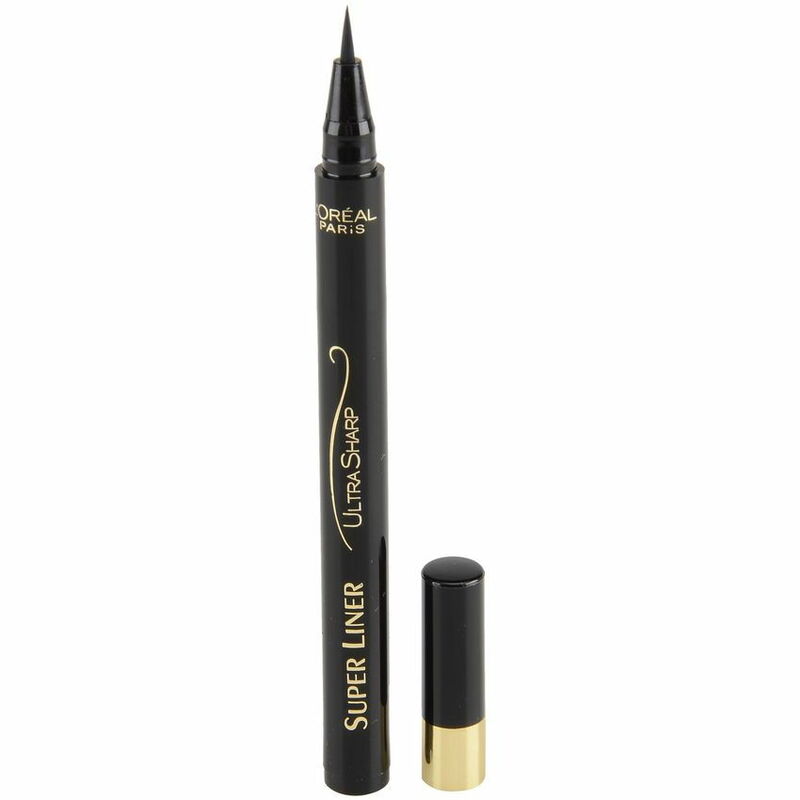 We recommend pen liners which will give you more control and help you draw a thinner line, like L’Oréal Paris’ Super Liner Ultra Sharp. Once you’re primed, apply a light shimmery pink over your lid and slightly above your crease. Stretching the colour out beyond your natural lids make your eyes appear larger. Then, dab on a light colour that’s more neutral like a pale pink or peach on the inner corners of your eyes. Layer a deeper pink over your lid to create more depth to the light, shimmery pink base without covering it entirely. Lastly, use a more neutral colour like deep brown or a glittery black on the outer corners of your eyes. Blend the colour inwards to about one-third of your eye and slightly above your crease for extra size illusion. Bonus tip: Light pinks don’t transfer very well on darker skin tone, so use a cream shadow with more intense pigmentation, or wet the tip of your brush a little so it can pick up more colour. Curl your lashes and apply lengthening and volumising mascara to make your eyes appear brighter and more awake, an especially helpful tip for smaller eyes! What Sunscreen is Right for My Skin Type?